INSURRECTIO awarded the BRAG Medallion! Yes, it’s official! I am delighted, no, I’m jumping up and down with elation, that my fifth Roma Nova thriller has been awarded the B.R.A.G. Medallion. And it’s up on the IndieBRAG website. 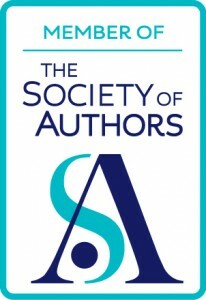 This is a prestigious award for indie only books and is a HIGH honour. Around 90% of books are rejected (gulp), so you can imagine the nail chewing that goes on after submitting a book. 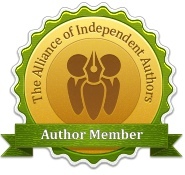 What’s behind the ethos and motivation of IndieBRAG? “Our mission is to discover talented self-published authors and help them give their work the attention and recognition it deserves. According to publishing industry surveys, 8 out of 10 adults feel they have a book in them. But traditional or mainstream publishers reject all but a tiny percentage of manuscripts. Historically, this has presented a classic Catch-22, in that you had to be a published author in order to get a publisher. The advent of self-publishing companies and print-on-demand technology has changed this. Now anyone can publish a book and the number of books being self-published is exploding, reaching into the hundreds of thousands annually. However, there is virtually no control over what is published or by whom, and industry experts believe that up to 95% of indie books are poorly written and edited. Compounding this problem, these books are rarely reviewed in The New York Times Book Review or by other leading sources. Additionally, the reviews and ratings at online booksellers are often provided by the author’s friends and family, and are therefore unreliable. There are professional book review services and writing competitions within the self-publishing industry that help address this problem. However, none provide an independent, broad-based and reader-centric source to advise the public which indie books merit the investment of their time and money. Alison Morton is the author of Roma Nova thrillers, INCEPTIO, PERFIDITAS, SUCCESSIO and AURELIA. 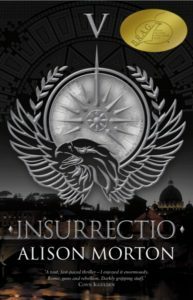 The fifth in the series, INSURRECTIO, was published in April 2016. Get INCEPTIO, the series starter, for FREE when you sign up for my free monthly email newsletter. 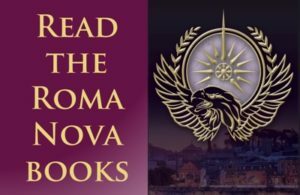 You’ll also be first to know about Roma Nova news and book progress before everybody else, and take part in giveaways. 2 comments to INSURRECTIO awarded the BRAG Medallion! Thank you so much, Jens. It’s a great honour!